Minister of Finance: the Egyptian Economy Is On the Right Path. 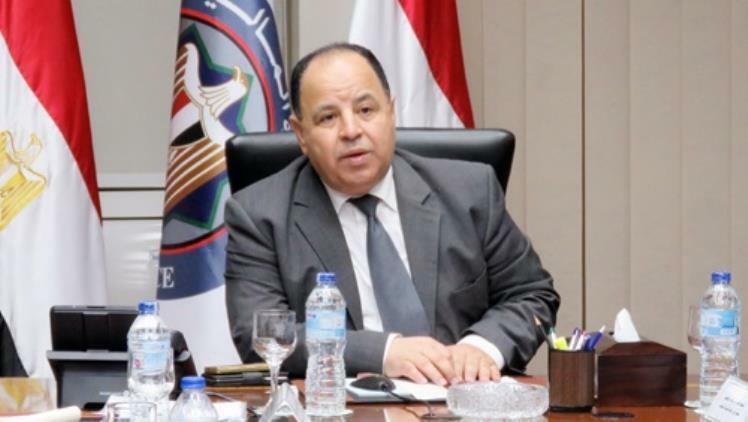 CAIRO – 5 February 2019: Egypt’s financial indicators will continue to improve, Minister of Finance Mohamed Ma’it announced, confirming that the Egyptian economy is on the right path. Egypt has implemented 95% of its economic reform program over the last 3 years. The minister referred to the success of the comprehensive economic reform program which is implemented by the Egyptian government and enjoys the full and continuous support of the political leadership and the great support of the Egyptian people. He added that the program is also considerably supported bythe country’s key partners such as the International Monetary Fund (IMF), the World Bank, the African Development Bank, the Organization for Economic Cooperation and Development, as well as the G-7 and the European Union. He said in a press conference held Tuesday at the Ministry of Finance that the most important indicator is the increase in the value of the primary surplus in the public budget - before the deduction of the interest of public debt to LE 21 billion in the first half of the current fiscal year 2018/2019, which represents about 0.4 percent, compared to a primary deficit of LE 14 billion (0.3 percent of GDP) during the same period last year. He added that this boom in the volume of the primary surplus also contributed to a significant improvement in the control of the overall deficit rates of the budget to fall to 3.6 percent of GDP for the first half of the current fiscal year, compared to 4.2 percent of GDP during the same period in the last fiscal year and compared toan average deficit of 5.3 percent over the past three years. According to the minister, the improvement in the surplus of the public budget is based on the surge in the proceeds of public revenues, which rose by 28.4 percent during the period from July to December 2018, exceeding the rate of growth of public expenditure, which grew by 17.7 percent. Ma’it attributed revenue growth to the continuous improvement of tax revenues which increased by 22.2 percent, where a number of items of tax revenues increased significantly in the proceeds such as the yields of real estate tax which rose by 102 percent, the yields of taxes on free professions (by 47 percent) and the salary tax (by 37 percent). Also, yields of taxes on corporate profits hiked by 26.2 percent and the value of VAT on goods and services increased by 21 percent. The minister of finance elaborated that the increase in the expenditure is due to the continuous improvement of the structure of public expenditure through increased investment spending, maintenance allocations and purchases of goods and services and the shift from commodity subsidies to better targeted and more efficient cash subsidies. “Government investments witnessed an unprecedented increase during the H1 of the current FY reaching 64 percent to record LE 56 billion, of which LE 39.5 billion were investments financed by the public treasury with 41 percent growth, and provisions for the purchase of goods and services increased by 62 percent, which reflects the great interest of the political leadership and the government to meet the basic needs of citizens and increase spending on human development, maintenance and infrastructure development in all governorates,” Ma’it stated. He also referred to the 21-percent- increase in the financial allocations to the education sector due to the increase in public expenditure on the purchase of goods, services and public investments by 28 percent and 70 percent respectively.Ma'it also highlighted the 27-percent increase in financial allocations to the health sector. “These high and unprecedented rates of public spending emphasize the government's keenness to develop and improve the human element, in addition to the government's interest in raising the efficiency of education and health services, paying attention to all elements of the educational and health systems and not only the wage component,” he pointed out. The minister stressed that all these positive indicators of the performance of the public budget will contribute to the continuous reduction of the debt ratio of budget tothe GDP, which has already declined from 108 percent in June 2017 to about 98 percent in June 2018 and aims to reduce to 93 percent of GDP by the end of June. He said the indicators of the performance of the Egyptian economy continues to perform strongly as the economic growth rate continued to rise to record in H1 of the current FY 5.5 percent, the highest growth rate achieved by the state since 2008 and the highest growth rate achieved by one of the countries of the Middle East and North Africa. The government succeeded in raising the growth rate to 5.3 percent in 2017/2018, compared to a growth rate of 2.3 percent in the period from 2011 to 2014, supported by strong performance and a positive contribution of investments and exports, which is reflected by the drop in unemployment rates to less than 10 percent in June 2018, the lowest since 2010. Ma’it added that the strength of the Egyptian economy is also confirmed by the rise of foreign reserves to a great extent to achieve about $42.6 billion at the end of December, which coincided with the decline in annual and monthly inflation rates recently. The minister of finance affirmed the commitment of the government and the Ministry of Finance to continue implementing the program of economic and social reform, as most of the financial measures targeted at the current budget were approved at the beginning of the current fiscal year 2018/2019. Topping these measures are the continued implementation of measures to rationalize energy subsidies (oil and electricity materials), approval of amendments to the development fee law and increasingthe tax on tobacco and cigarettes. “In July, the government announced the implementation of a package of comprehensive social measures, including increased wages and pensions, and a revision of the tax exemption limit to reduce the negative impact of reform measures on the neediest groups,” he said. The minister also referred to the feedback of international economic agencies about the Egyptian economy, pointing to the agreement of the executive board of the IMF to give Egypt the fifth installment of its $12 billion loan ($2 billion) by the end of the current week, in addition to the statement of IMF’s Managing Director Christine Lagarde, commending Egyptian authorities for reforms that have put the country’s budget deficit on a declining trajectory, and that have helped reduce theunemployment rate to 10 percent, the lowest since 2011. The finance minister added that this success was also reflected in the reports of the credit rating institutions, which last year raised the rating of Egypt. For example, Standard & Poor's raised the credit rating from B- to B while Fitch and Moody's raised the outlook for the Egyptian economy from stable to positive, which confirms and increases the possibility of raising the credit rating of Egypt in 2019. “This improvement in the rating of the development institutions of the Egyptian economy is reinforced by the Organization for Economic Cooperation and Development's announcement this week to raise Egypt's rating in the country risk index from grade 6 to grade 5, which means that Egypt has become, according to the estimates of the organization, more attractive for international investments,” Ma’it stated.